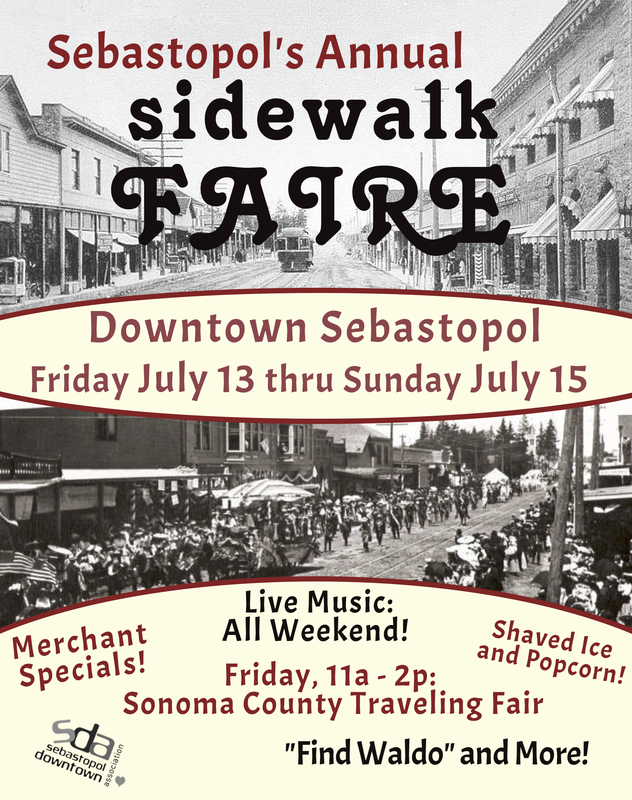 It’s Summertime in Sebastopol and our Downtown will be coming alive with music and local artisans lining Main Street. Merchants will be offering specials everywhere you go! Be sure to pick up a “Find Waldo” booklet for your child at Copperfield’s Books. On Saturday “Swing Society” will be playing out front of Silk Moon and on Sunday the Fabulous Farmer’s Market will offer live music by Dave Hamilton, and so much more! Consider parking in the parking lot adjacent to CVS (it’s public parking) and walk to the Plaza.